Leading business magnate Mukesh Ambani's son Anant Ambani, recently gave the social world a surprise. He has suddenly made headlines because of his tremendous weight loss. Anant was obese and he underwent a drastic weight loss session that helped him to shed 108 kilos in just 18 months. B-Town stars have come out and appreciated his will power towards weight loss. 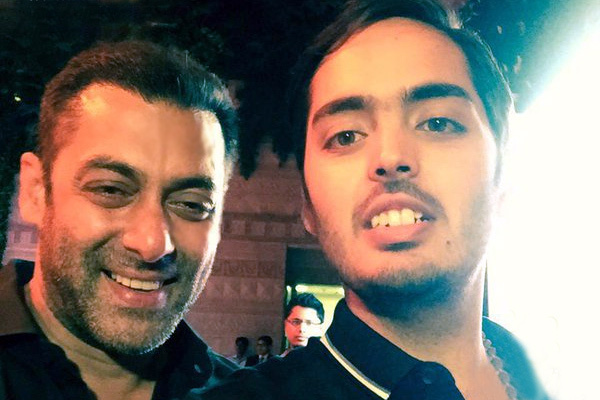 ‘Bajranji Bhaijaan’ actor Salman Khan, who was so impressed with this took to his Twitter handle and shared a selfie with Anant. He also wrote, "So happy to see Anant Ambani, lots of respect n sooo happy fr him. Takes a lot of willpower to loose 108kgs in 18mnths."